The idea of putting oils on our face can feel a little odd – especially if it’s supposed to cleanse our skin! But that’s exactly what cleansing oils are supposed to do and many who have tried them swear by them. If you haven’t tried cleansing oils and are wondering about them, you’re on the right page. We’re going to give you the low-down about how it works, and also recommend a few of them for you to try. Cleansing oils are used for the removal of makeup, grime and dirt. They are meant to melt waterproof makeup upon massaging it gently on your dry skin. In most cases, it is recommended that you do a double cleanse after applying cleansing oils, which means that you use a water or gel based cleanser after the oil cleanser. However, note that some formula specifies that double cleansing is not necessary. Are cleansing oils suitable for everyone? The good news is that cleansing oils are suitable for all skin types! The trick is to pick an appropriate product according to your skin type. Read the label or speak to a beauty advisor to find something right for you. How do cleansing oils benefit me? Even if you have oily skin type, cleansing oil can still work for you. This is because cleansing oils are made up of “good oils” that have an affinity with the sebum on your skin and can help to remove it by “attaching” itself to sebum (and impurities). The great thing is that the oil won’t dehydrate your skin because it’s incapable of removing water. Oil cleansers typically contain other skin-loving benefits to help improve the texture of your skin or to address specific skin concerns, such as dullness and acne. So hey, don’t be surprise if you see your skin improving after switching to cleansing oil! The Caudalie Make-Up Removing Cleansing Oil retails at SGD34 at Sephora. Well-loved by professional makeup artists, this cleansing oil has been described as being “industry-strength” and is made up of primarily olive oil, evening primrose and jojoba seed oil. The product is safe on eyes and is gentle on acne-prone skin. The MAC Cosmetics Cleanse Off Oil retails at SGD51 and is available at all MAC stores and Sephora and Lazada. This may be pricey, but reviewers say that it’s worth the price. A user say that the product manage to dry out her pimples after using it, and that she highly recommends it for people who suffer from oily and acne-prone skin. The Erno Laszlo Detoxifying Cleansing Oil retails at SGD95 and is available at Sephora. You may have already heard about the famous Purity Made Simple Cleanser by Philosophy; this is an extension of the same product line. Its formula is free from mineral oil, but delivers an effective cleanse while keeping skin hydrated. You’ll love that it emulsifies easily and leaves skin feeling clean and soft. 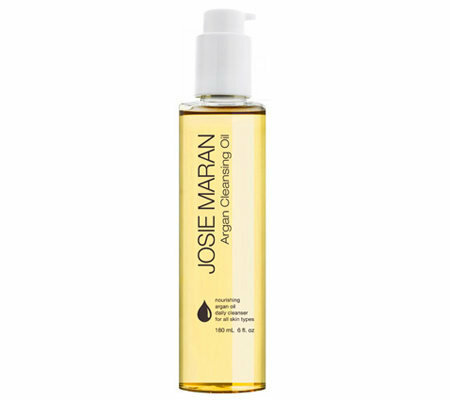 Some reviewers even call this the best cleansing oil they have ever tried. The Philosopy Purity Made Simple Facial Cleansing Oil retails at SGD39 and is available at Sephora and Lazada. If the appearance of pigmentation is a skincare concern that bothers you, this is a cleansing oil you may want to consider. Its formula features a series of plant-based ingredients such as cucumber seed, hibiscus petal, and mulberry, as well as well-loved exfoliants and skin-brighteners like vitamin C and ferulic acid. The Alpha-H Liquid Laser Cleansing Oil retails at SGD70 and is available at Sephora. This is a dual-phase cleanser that transforms from silky oil to creamy milk when it touches water. This cleansing oil is formulated with white and purple rice, which is said to be an ancient beauty secret for polishing skin, to leave complexion looking smooth and radiant. Reviewers love that their skin feel fresh after cleansing with this product, and that it doesn’t leave behind any oily residue upon rinsing. 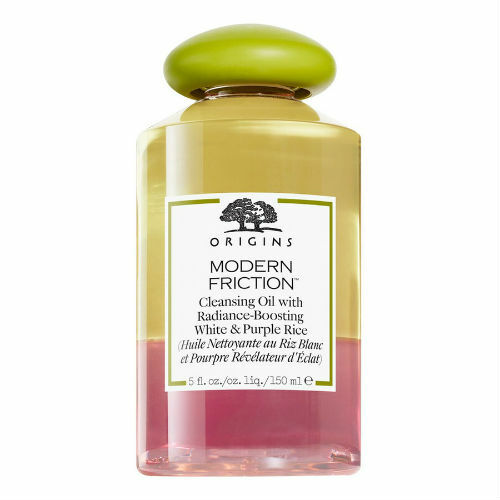 The Origins Modern Friction Cleansing Oil retails at SGD55 and is available at all Origins boutiques and counters, as well as Sephora. If you have dry skin, this may be the product for you. Not only does this formula effectively removes makeup, it also helps in moisturising and cleansing the skin thoroughly. Argan oil, which is a key ingredient used in this product, is known for its anti-ageing benefits, which those with dry skin will certainly appreciate. This cleansing oil has certainly built up a very solid fan base among those suffering from oily skin. Apart from being known to remove makeup thoroughly, users rave about how it doesn’t leave a greasy feeling after using it, but in fact, skin feels hydrated and supple. The DHC Deep Cleansing Oil retails at SGD43.90 at Watsons and Lazada. Known to be the holy grail of cleansing oils, this product is one that you can trust. We recommend newbie to cleansing oils to start with this formula as Shu Uemura introduced and popularised the use of cleansing oil since 1960s, and have a range of easy-to-use variants to choose from. 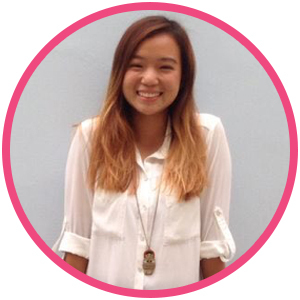 From formulas for pore-purification to brightening, you’ll certainly find one that you need. 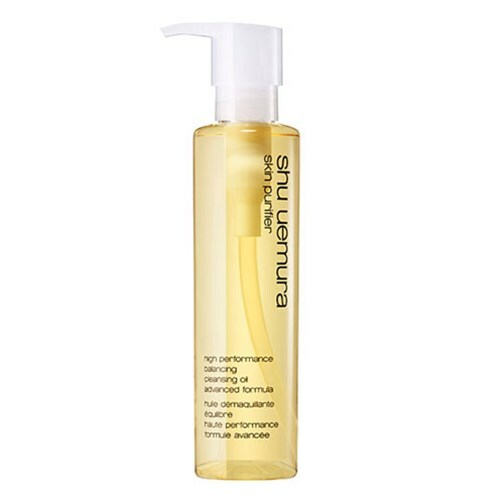 There are several variants in the Shu Uemura cleansing oil family, and prices start from SGD55. They are available at all Shu Uemura boutiques and counters, as well as at Sephora. One thing is definitely delivered with this product ; hydration! Apart from removing surface makeup, your skin will feel smooth and well-hydrated with just one pump of the formula. It is no wonder many people claim that this product is worth the price as it lasts for a really long time. 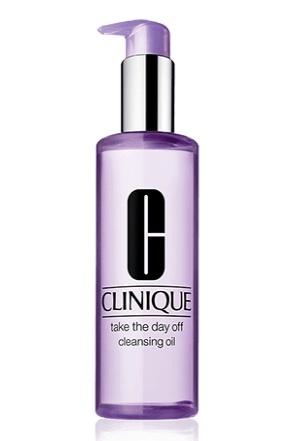 The Clinique Take The Day Off Cleansing Oil retails at SGD49 and is available at all Clinique counters and at Sephora and Lazada. If you are worried about harsh formulas, your worries are nullified with this product. This product has a gentle formula that packs a punch! Whether it is BB cream or stubborn waterproof mascara this cleansing oil is said to do its job well. 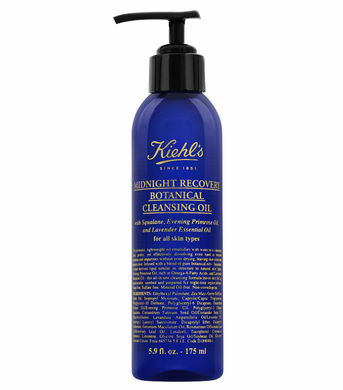 You may already be familiar with one of Kiehl’s bestsellers – the Midnight Recovery Oil. Now, riding on the same efficacy, the brand has launched a cleansing oil. This formula contains Lavender essential oils, which helps in soothing the skin and the removal of stubborn makeup. And yes, that it helps get rid of heavy eye makeup too! The Kiehl’s Midnight Recovery Botanical Cleansing Oil retails at SGD55 and is available at all Kiehl’s boutiques. Whether you want to apply your cleansing oil on dry or wet skin, this formula will still do the job. 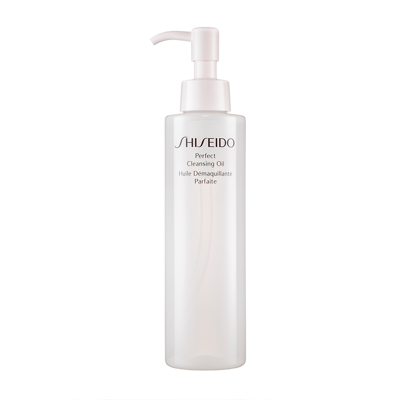 This gentle formula features Shiseido’s quick removing technology as it effectively removes dirt and makeup quickly. In addition, it contains moisturising agent to cleanse and maintain the moisture level of your skin. This product has taken Korea by storm. Its water-based formula is made up of mooring oil and rice water, and together, are able to break through all the dirt and grease. It purifies and detoxes skin to leave behind a refreshing sensation. If you’re looking to reduce the appearance of blackheads, you’ll be happy to know that this formula also helps to remove grits that makes blackheads look less visible. The Face Shop Rice Water Bright cleanser retails at SGD12.90 and is available at all The Face Shop stores and Lazada.